What started out as a small gesture by a local charity is now providing huge comfort to patients with a brain injury. 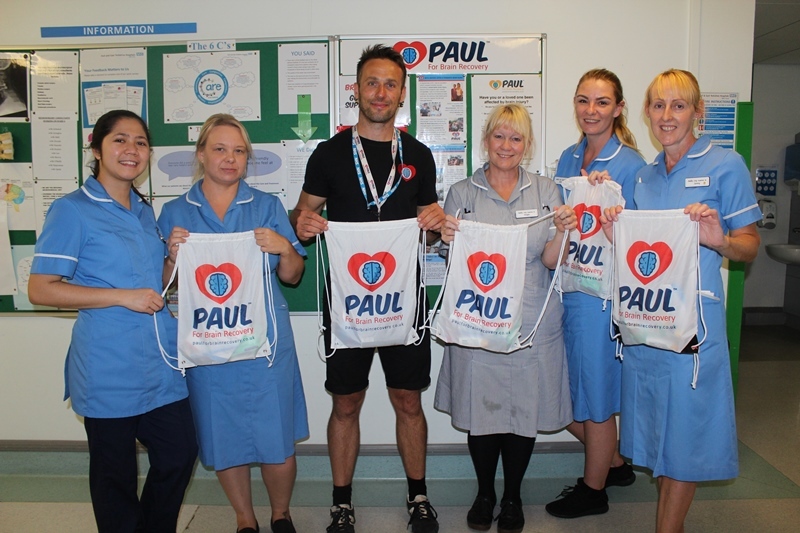 PAUL for Brain Recovery has arranged for comfort bags, known as recovery care packages, to be made available to any patient receiving care on neurosurgical wards 4 and 40 at Hull Royal Infirmary. 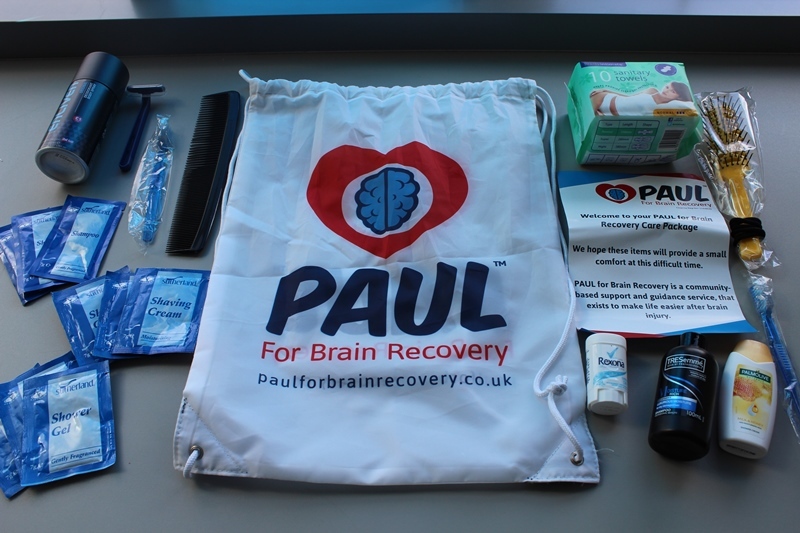 The bags contain essential toiletry and personal care items for people who may have been brought into hospital unexpectedly or who have no friends or relatives to bring such items in for them. “I’ve been volunteering on the wards for some time now, offering the benefit of my experience to people with a brain injury and their relatives, and showing that there can be light at the end of the tunnel. “While I was on the ward one day, a nurse mentioned to me that some patients didn’t always have the personal items with them which many of us take us for granted to make them feel comfortable; a razor for the men, sanitary items for the ladies, deodorant for the hot weather, and even things as simple as a comb or a hair bobble. The nurses had been giving out rubber bands to patients to help keep their hair off their faces; that’s not great and it’s not very dignified for people at a time when they may already be anxious, confused or upset. The ladies bag contains a hairbrush and hairbands, shampoo, shower gel, deodorant, sanitary towels and a toothbrush, while the men’s bag contains a razor, shaving cream, a comb, toothbrush, deodorant and shower gel. 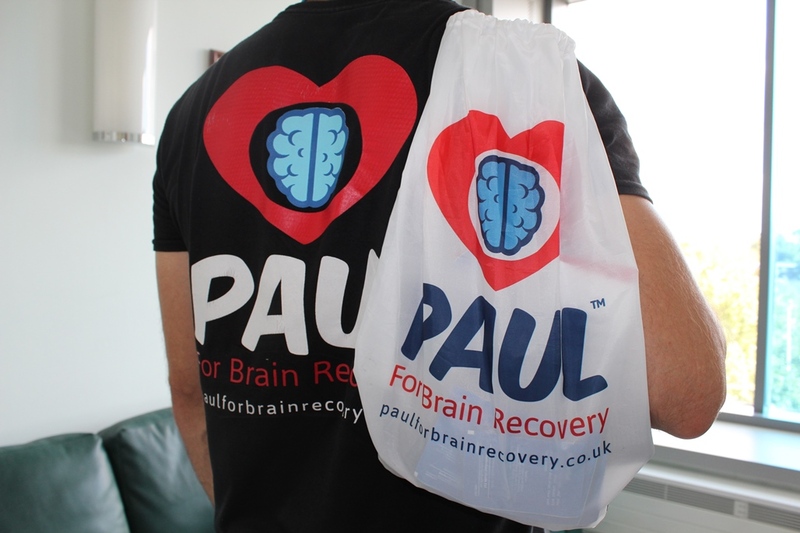 All bags contain a leaflet providing more information on the PAUL for Brain Recovery charity. “When you come into hospital, especially with something like a brain injury, there may not be time or you may not be well enough to even think about what to bring with you.